As a non-academic I was more interested in the story of founding a worker co-operative, how democratic the worker co-operative is, and how a founding member can be forced out of a worker co-operative. John R. Whitman interviewed the founders of Equal Exchange in the paper. The following are excerpts from the paper in regards to this. 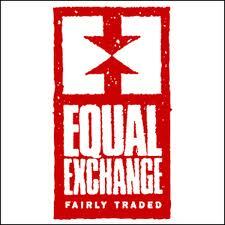 Equal Exchange was founded from its founders compelling motivation to use their existing food warehouse co-operative skills to advocate on behalf of the interests of developing country farmers. The challenge faced by founders Jonathan Rosenthal and Michael Rozyne was that as members of a distribution co-operative owned by retail food co-operatives, they were buying produce from poor farmers in developing countries to sell in turn to grocery stores and other outlets in ‘well-to-do’ towns. The warehouse attempted to drive down the prices offered to farmers in order to ensure an appealing margin for its member stores. Jonathan and Michael had a problem with this. The founders had a strong sense of social justice and solidarity with the farmers whose products were passing through at a profit to the members of their co-operative, to comparably wealthy consumers. When Jonathan and Michael approached the food warehouse co-operative to rectify this and create a better balance between the interests of the farmers and the consumers, the board of directors of the co-operative of which they were members were not interested. After three years of planning, Equal Exchange was incorporated on May 1, 1986 along with member Rink Dickinson. Equal Exchange was a fair trade organization in Stoughton, Massachusetts created to help developing country farmers get fair prices on the goods they were selling. Jonathan says, “Yes. One thing is that Michael, Rink, and I and maybe all the early people, the way you set it up so that you get a profit that year is so short-sighted. I feel like right now, Equal Exchange and its worker-owners are benefiting from my work and I feel like I didn’t get properly compensated. And I set that up. Overall, I’m happy. We did this incredible work and helped start this movement and all. So on that level I’m happy, but I feel like we set up in the culture a thing of we’re not honouring or rewarding risk and innovation. We just accepted innovation as a normal and natural thing. Equal Exchange is more short-sighted than Wall Street in a way. There is no willingness to invest in the future.” “Number two, on an ownership level, I think certainly founders and early people should at least have some profit-sharing decades into the future. And I think for the three founders the price should be in perpetuity.” By 2009 sales grew to $35.7 million, with profits of $1.37 million. Question: Is this just sour grapes or does Jonathan have a point? How can fledgling worker co-operatives dominated by founding members be more democratic? How could Equal Exchange have handled the firing of Jonathan in a more transparent and respectful way (assuming his side of the story is accurate)? Should founding members receive profit-sharing in perpetuity? We would like to hear from you. Post your comments on CWCF’s Facebook page.